No. IV. Map of the City of Washington Showing Location of Fatal Cases of Lung Diseases for the Year Ended June 30, 1901. 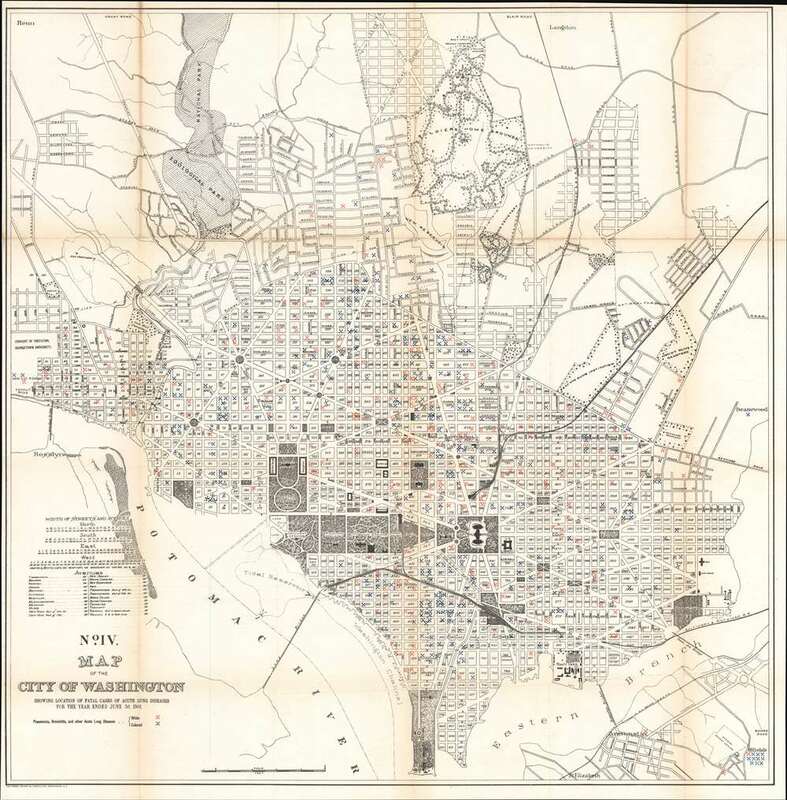 A fascinating 1901 Norris Peters map of Washington D.C. illustrating fatal cases of lung diseases: pneumonia, bronchitis, and other acute lung diseases. This large map covers from the Rock Creek Cemetery to Haines Point and from Georgetown to the Anacostia River. City Blocks are identified numerically. The map has been overprinted with symbols to illustrate fatal cases of these lung diseases throughout the city. Curiously, these cases have been divided by 'race', a red 'X' depicts a fatal 'white' case, and a black 'X' depicts a fatal 'colored' case. Cases are scattered throughout the city.